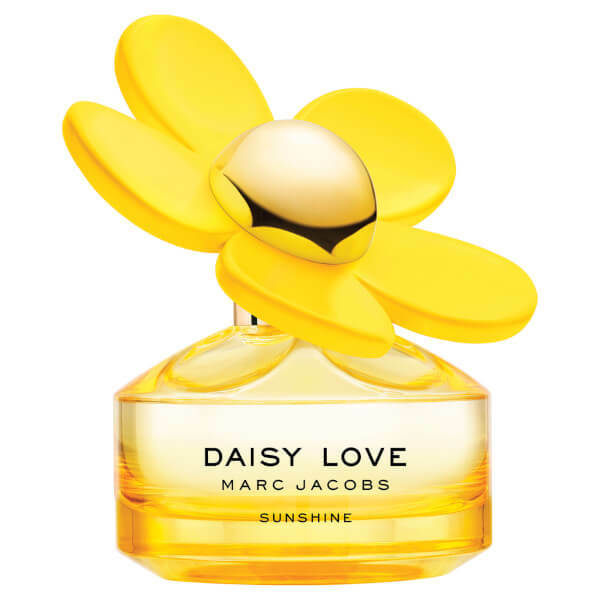 A bold, playful twist on the classic Daisy fragrances, the Marc Jacobs Daisy Love Sunshine Eau de Toilette takes inspiration from the sparkling, carefree spirit of 'Daisy' girls everywhere. 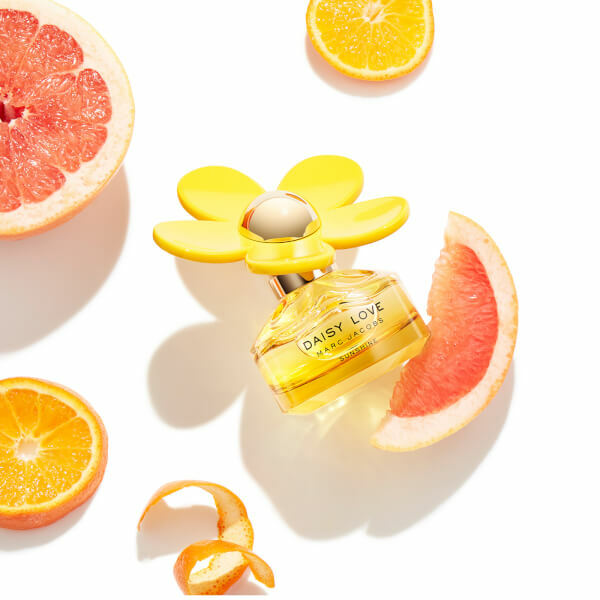 Transporting your senses to a place of dazzling sunshine and luscious blue skies, the luxurious fragrance blends bright Citrus and Bergamot accords with the sheer floral sweetness of Cashmere Musk. 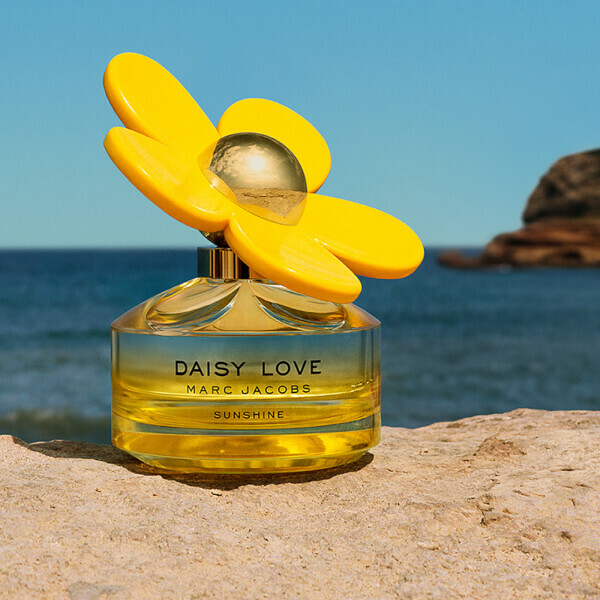 Housed in a yellow bottle with the brand's signature oversized daisy cap. Alcohol Denat., Parfum/Fragrance, Aqua/Water/Eau, Ethylhexyl Methoxycinnamate, Hexyl Cinnamal, Benzyl Salicylate, Limonene, Benzophenone-3, Ethylhexyl Salicylate, Butyl Methoxydibenzoylmethane, Linalool, Hydroxycitronellal, Citronellol, Citral, Farnesol, Cinnamyl Alcohol, Coumarin, Benzyl Benzoate, Bht, Propylene Glycol, Fd&C Yellow No. 5 (Ci 19140), Ext. D&C Violet No. 2 (Ci 60730).